Creating a new politics in the context of the fourth industrial revolution is no easy task. However, with the right people we believe it is not only possible, but achievable. Today we would like to introduce you to the team that has been working to drive our efforts since we were established in the summer of 2016. Community Organisers lead the building of our community in cities worldwide. Their primary objective is to find, recruit, and develop community leaders who work together to create a new politics in the context of the fourth industrial revolution. Our operations team are focused on building our organisation to help us achieve our mission. 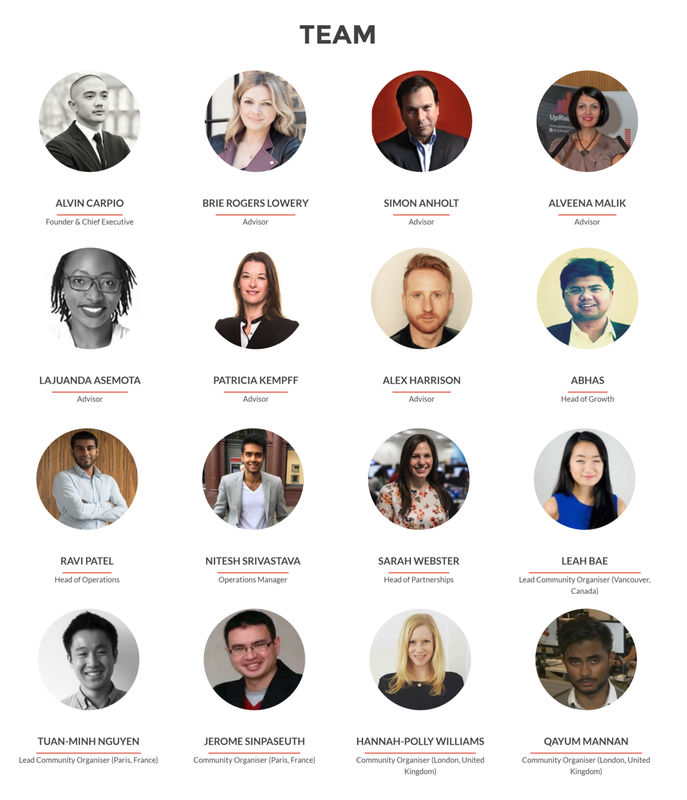 Our advisory team is made up of a stellar cast of experienced change-makers, thought-leaders, and experts ranging from Chief Executive Officers of non-profits to leaders in global organisations. Each bring wisdom, talent, and a track-record of making a difference. Our advisors provide ongoing advice to the team. They provide guidance during our start-up phase and help us achieve our vision of creating a new political institution fit for our world today. We are looking for dynamic, politically astute, and entrepreneurial volunteers with a global mindset who would like to take up the challenge of creating a new politics in the context of the fourth industrial revolution. As we expand, we’re now looking for the following people to join the volunteer team. To apply, send your CV and a one-page cover letter to join@fourth.group. Deadline: 12:00 GMT, Friday 10th February 2017. Let 2017 be a year when citizens around the world united to create a new politics to improve the state of the world.